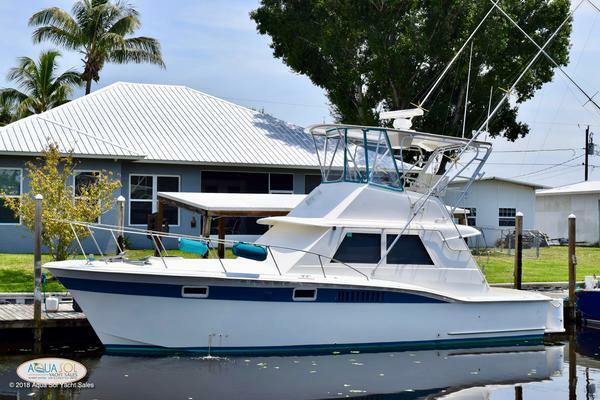 Hatteras has a reputation for building strong boats that perform well in all sea conditions. 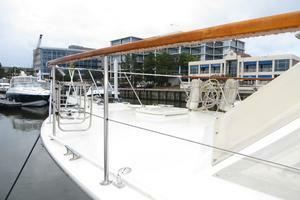 The 43 Motor Yacht was built on a solid fiberglass, modified-V hull with a deep keel for directional stability. 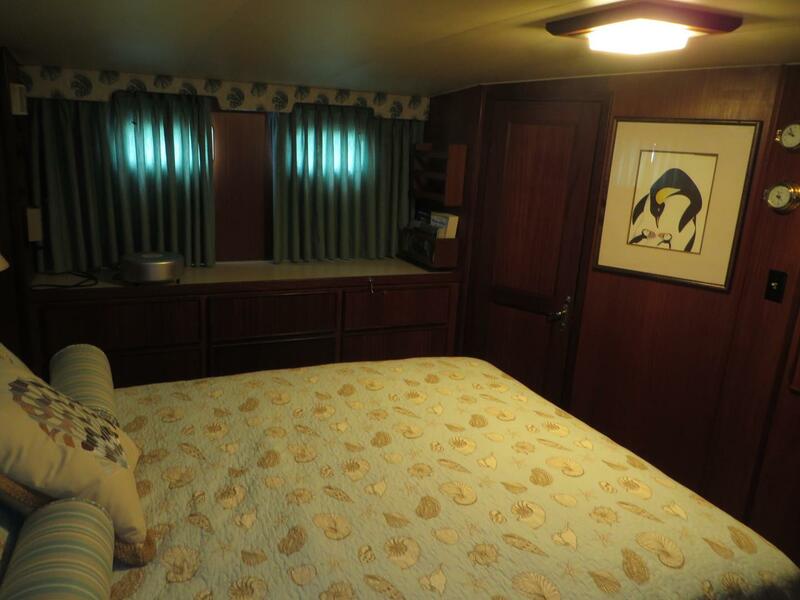 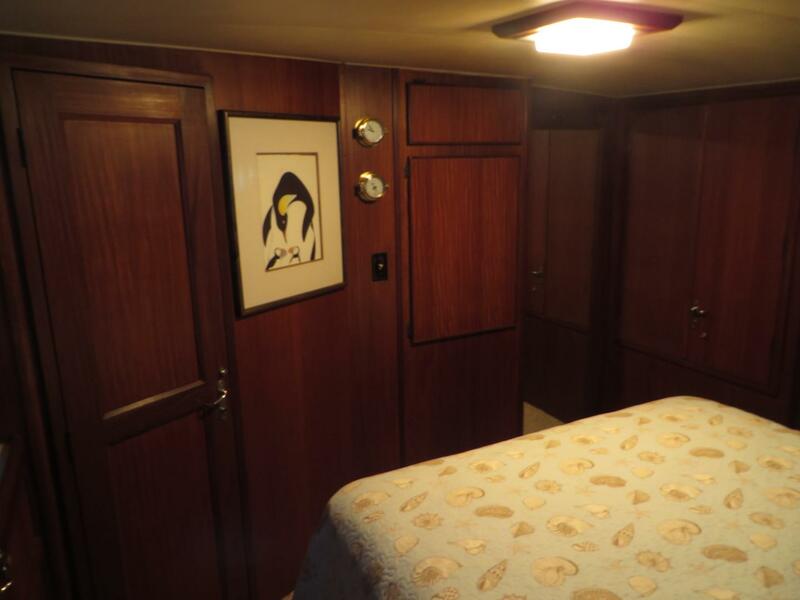 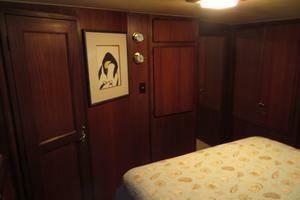 The two-stateroom interior layout features a spacious main salon with mid-level galley to port and separate stall showers in both heads. 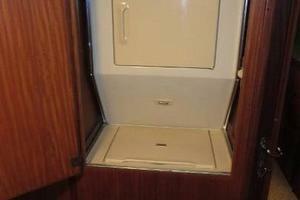 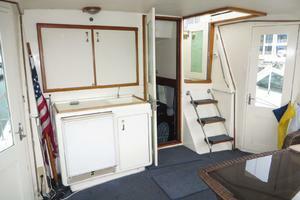 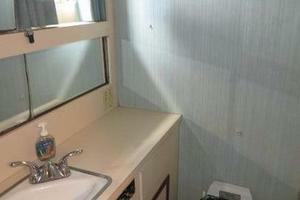 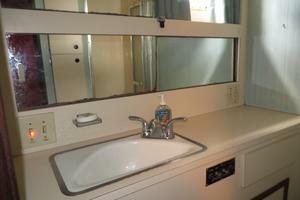 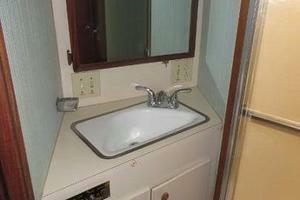 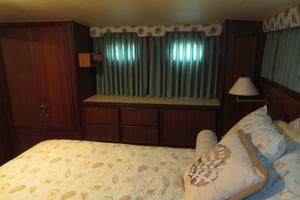 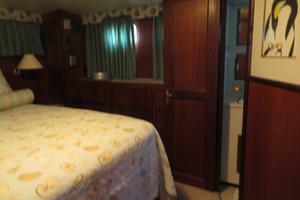 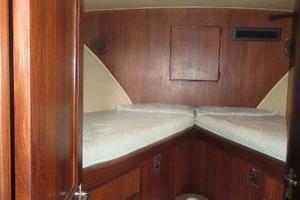 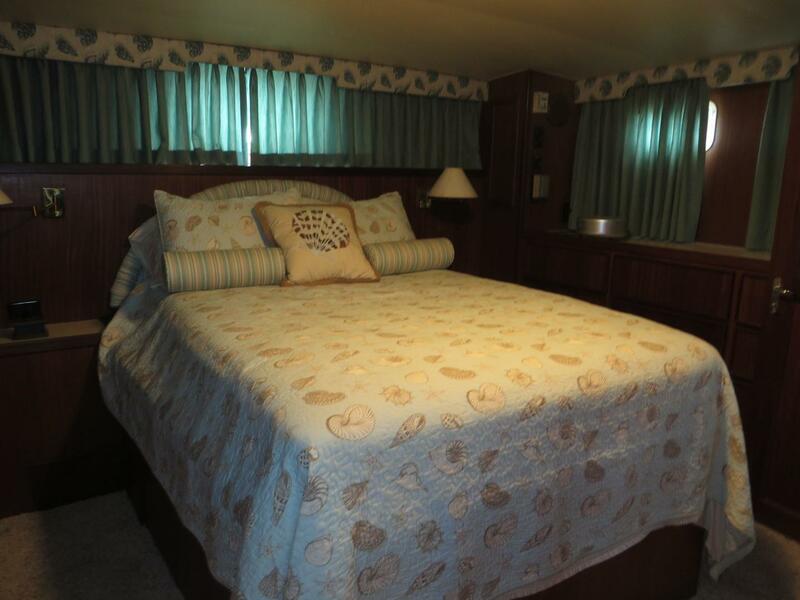 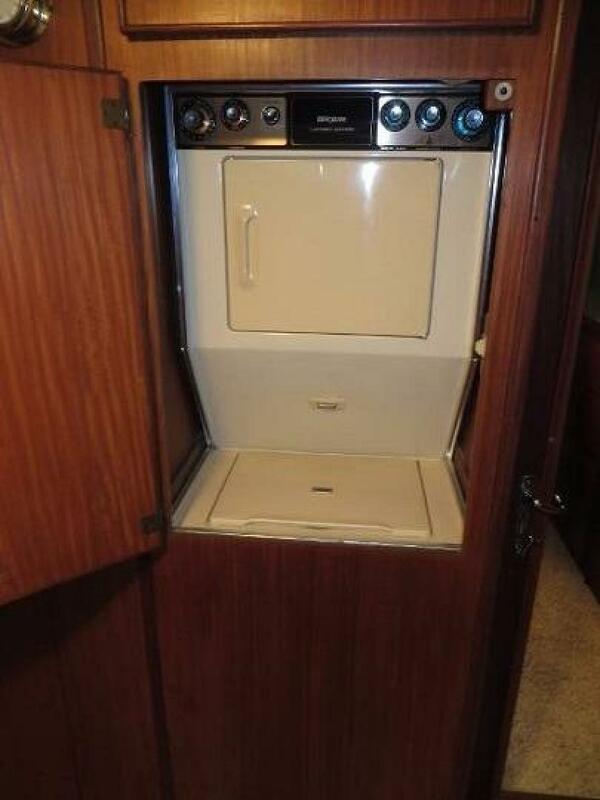 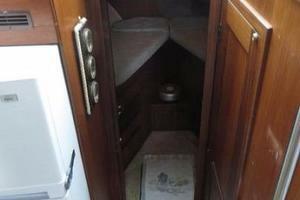 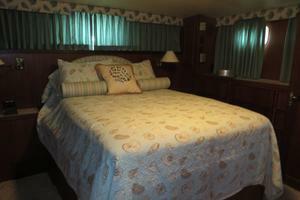 The master stateroom is very large and includes a washer/dryer. 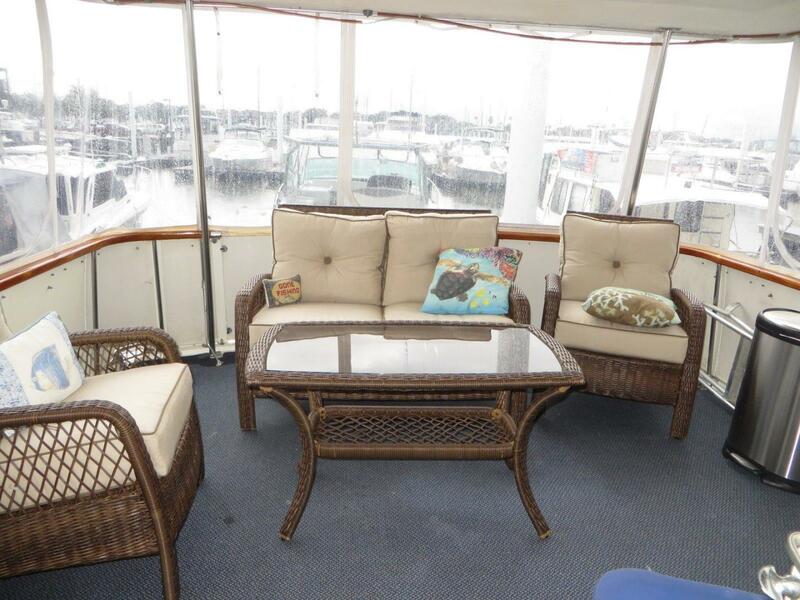 The aft deck is big enough to entertain a small crowd. 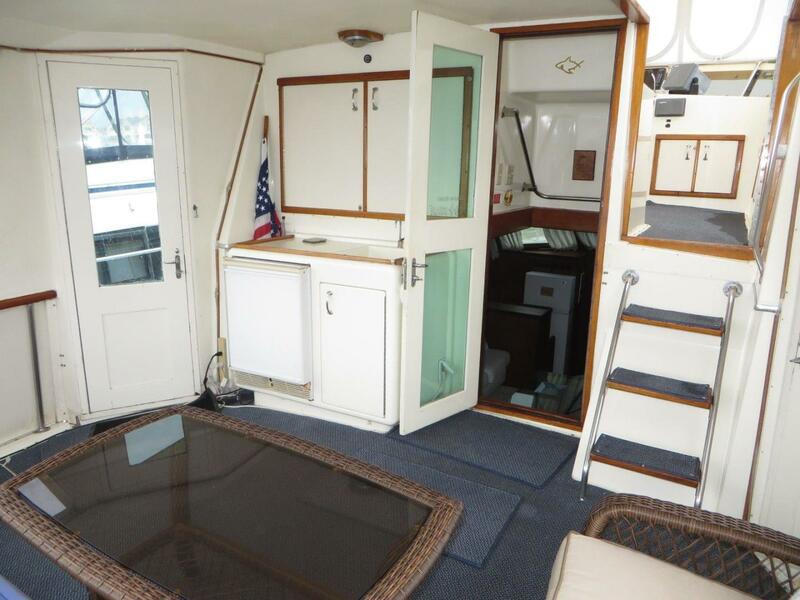 The flybridge is arranged with the helm console forward and bench seating for six.The engine room, accessed from the salon, is particularly well arranged. 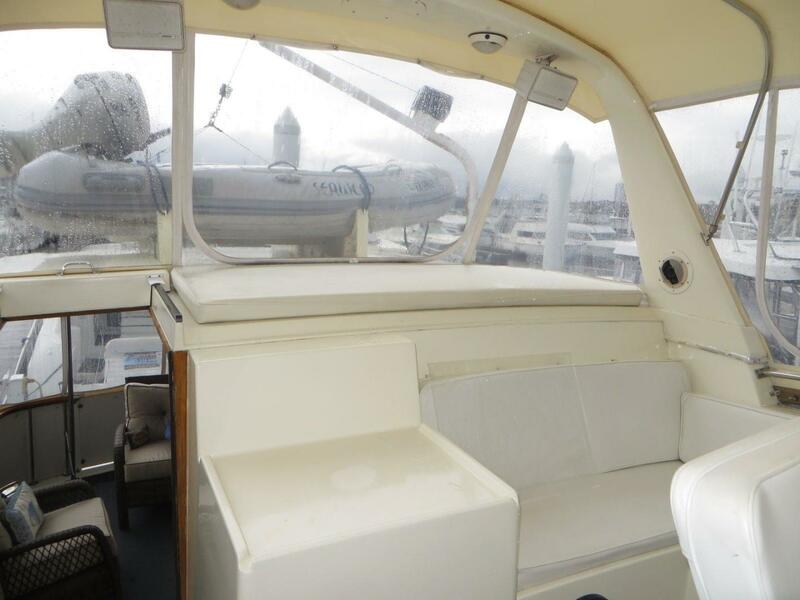 Twin Caterpillar diesel engines are dependable and efficient. 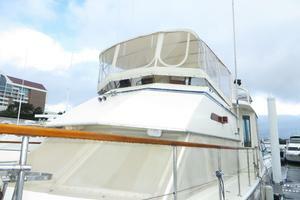 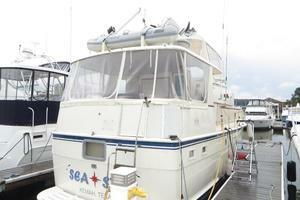 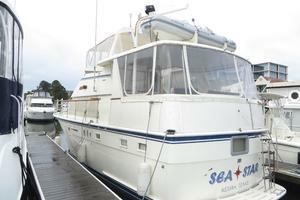 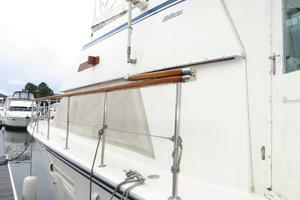 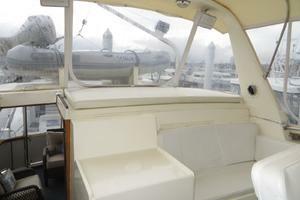 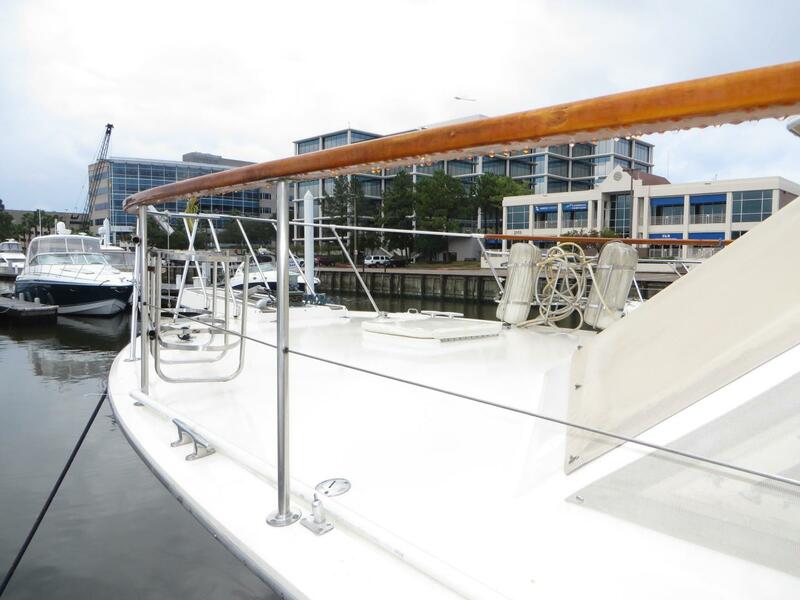 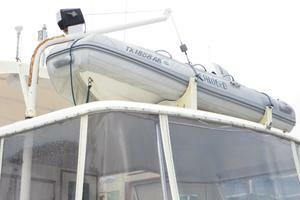 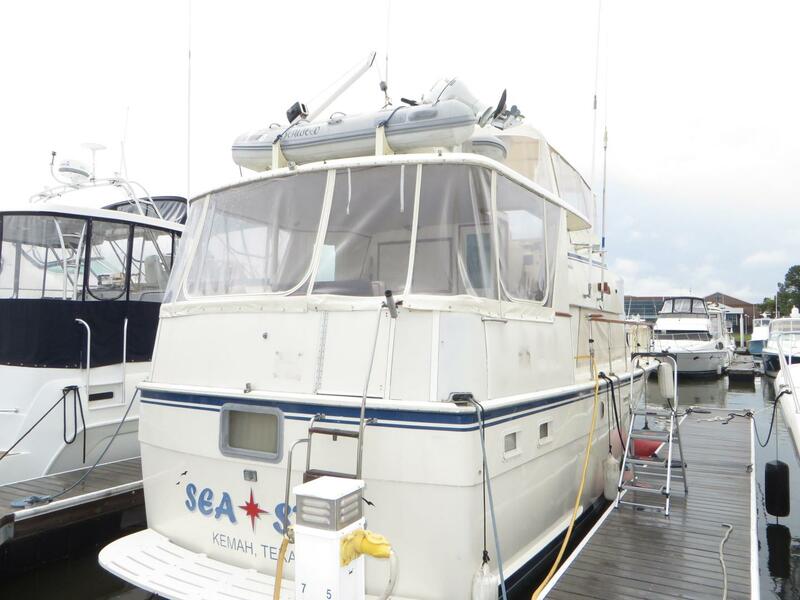 Sea Star has been well-maintained by the same owner for the last ten years. 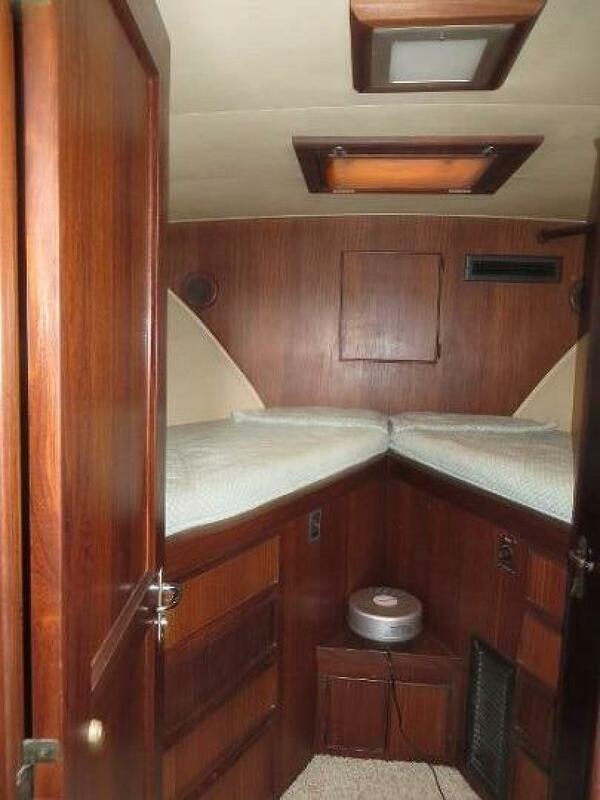 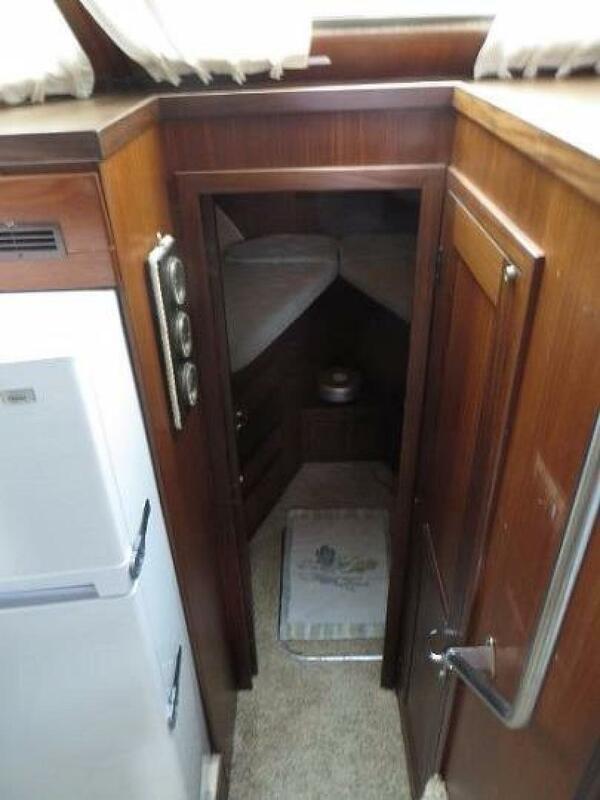 She would make a great live aboard or weekend cruiser. 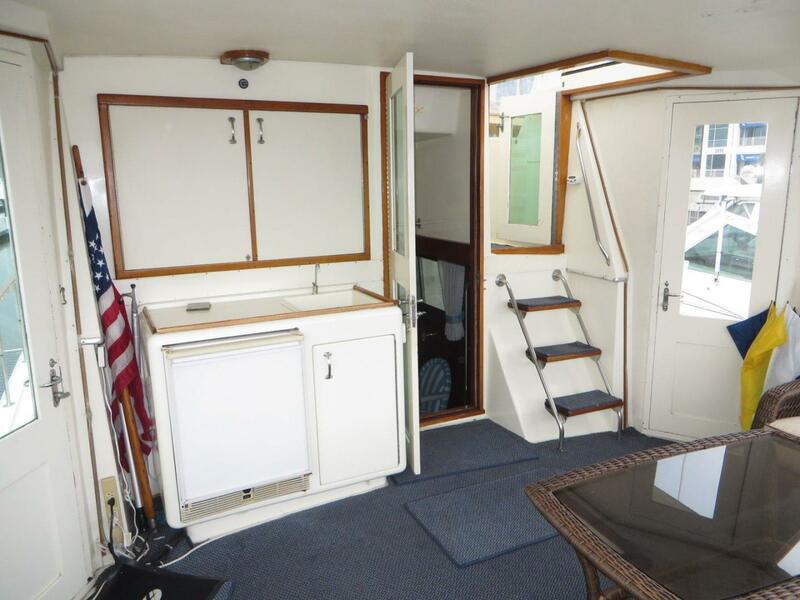 Just three easy steps from the aft deck down into the spacious salon, you will find ample and comfortable seating, 6’8” headroom, large windows and a very bright interior. 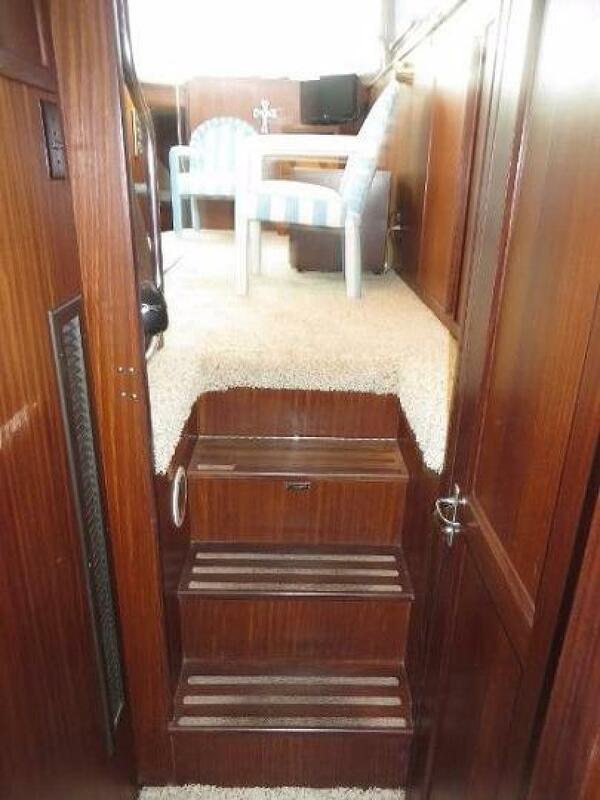 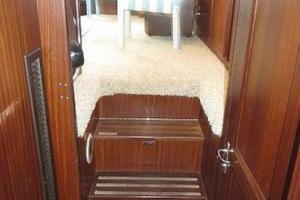 The interior mahogany paneling has been very well maintained and shows well. 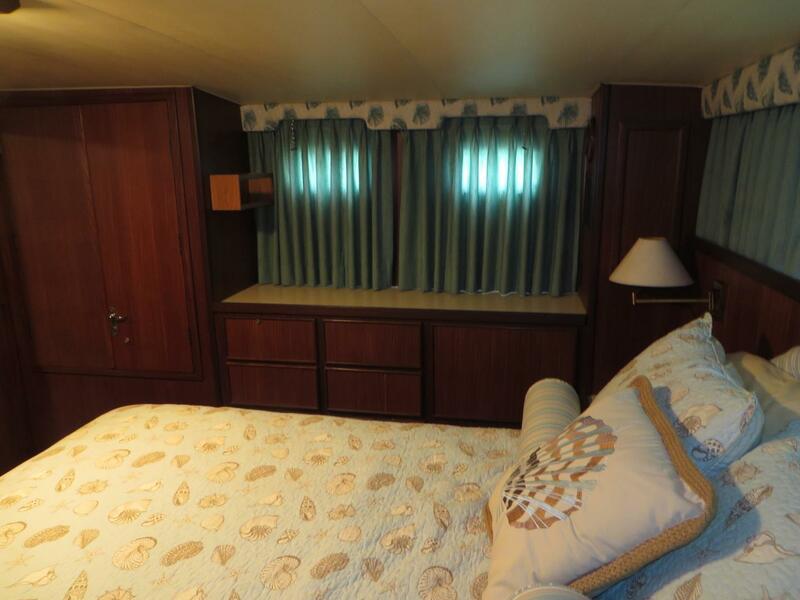 The guest stateroom is forward and has a double V-berth with drawers under, a large hanging locker to port, two opening port lights, overhead hatch, rope locker access and private access to the forward head. 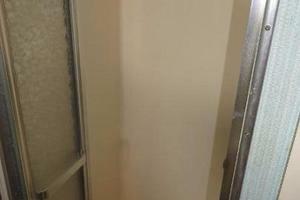 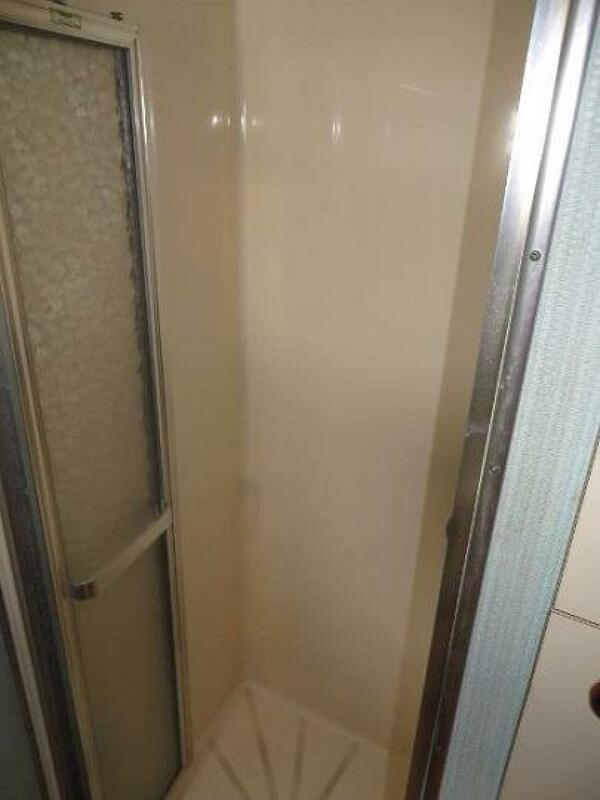 The forward head also has a second entrance for use as a day head, separate stall shower, vanity with sink and storage below and a vacu-flush toilet. 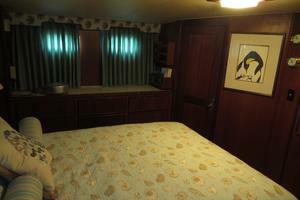 The spacious master stateroom is aft and down three steps. 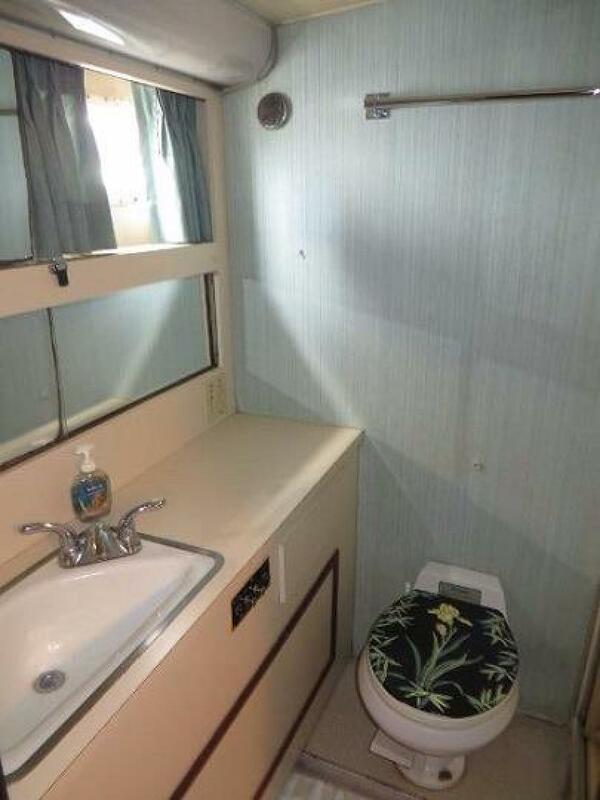 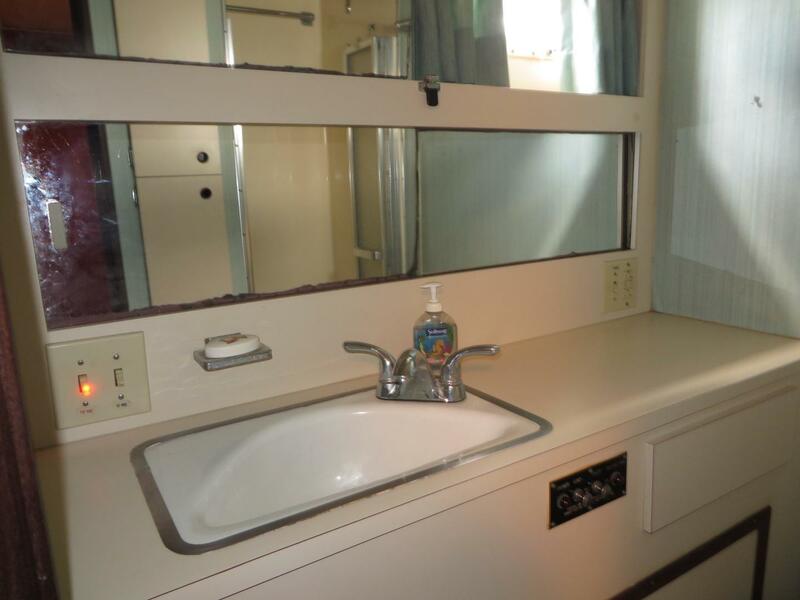 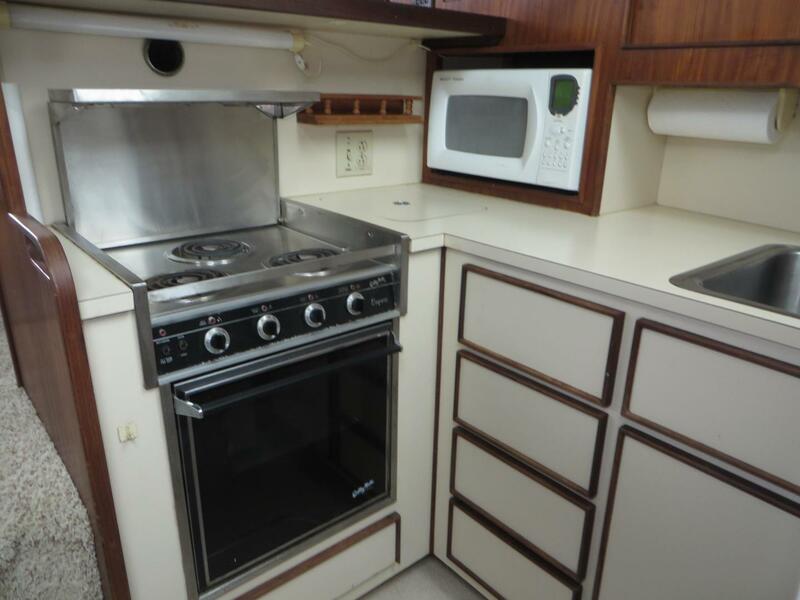 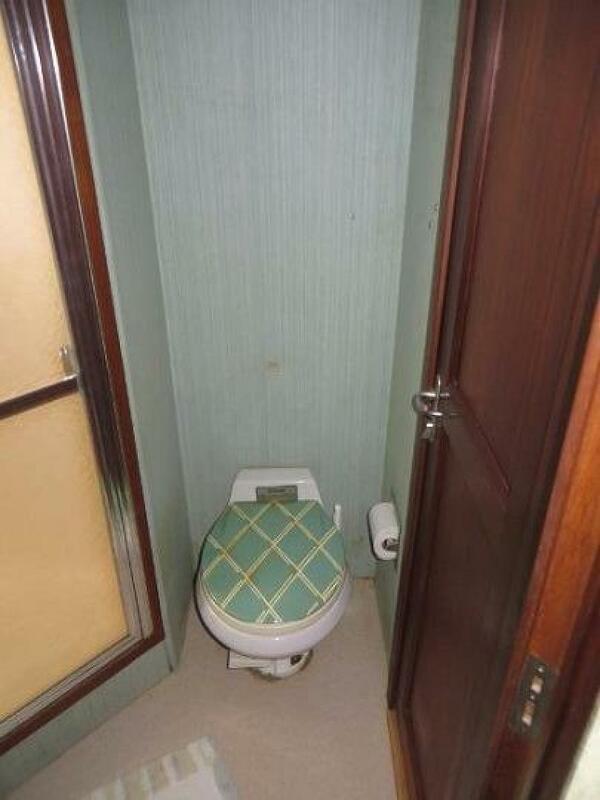 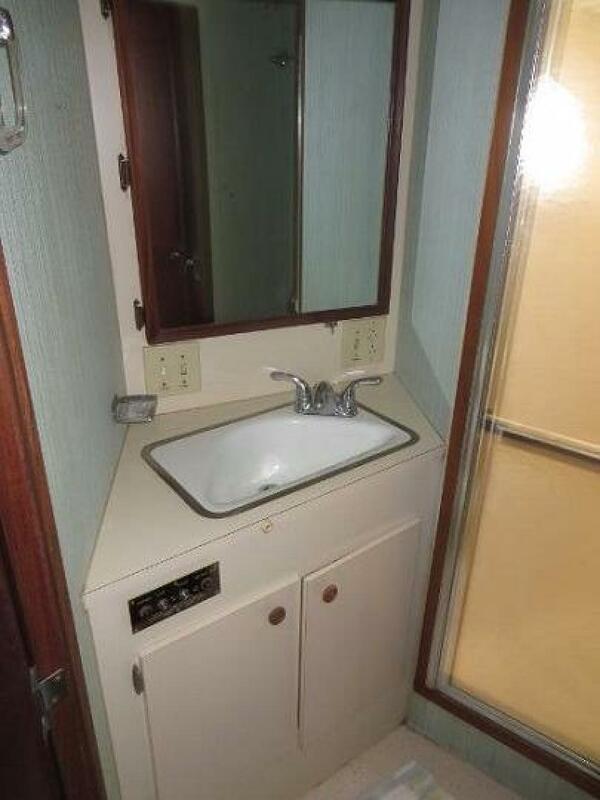 It features a centerline queen-sized berth with an extended 4” length and an ensuite head with enclosed shower stall, vacu-flush toilet and vanity with sink and storage. 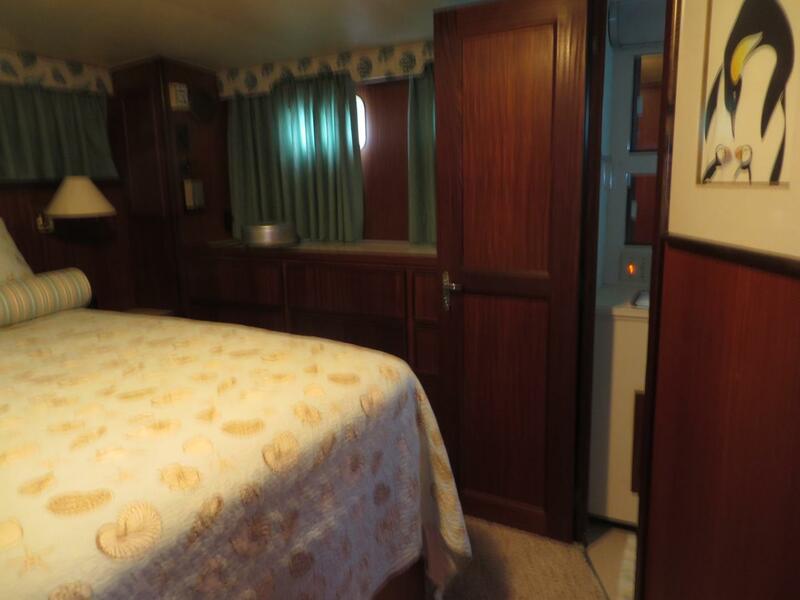 There is ample storage with drawers both to port and starboard as well as two cedar-lined hanging lockers, one just outside the stateroom door. 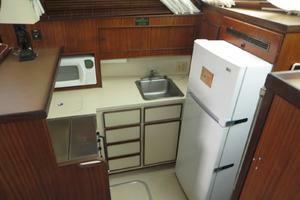 The mid-level galley is located forward and down from the salon level. 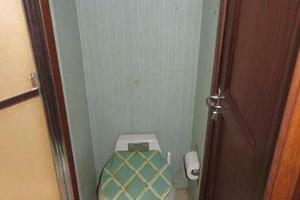 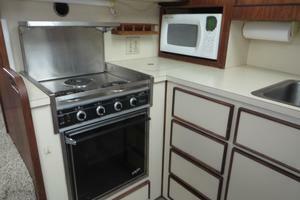 It is very open and well-equipped for preparing meals and entertaining. 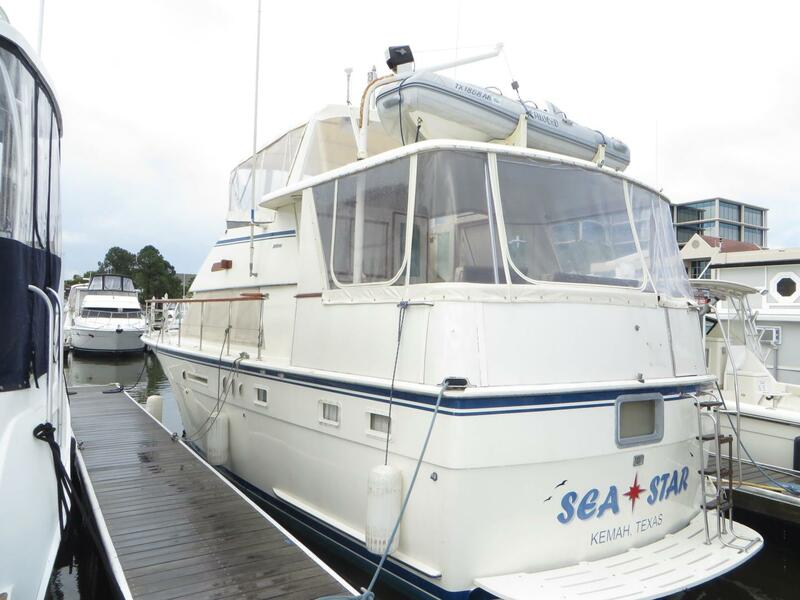 Sea Star has a large flybridge with ample seating and storage. 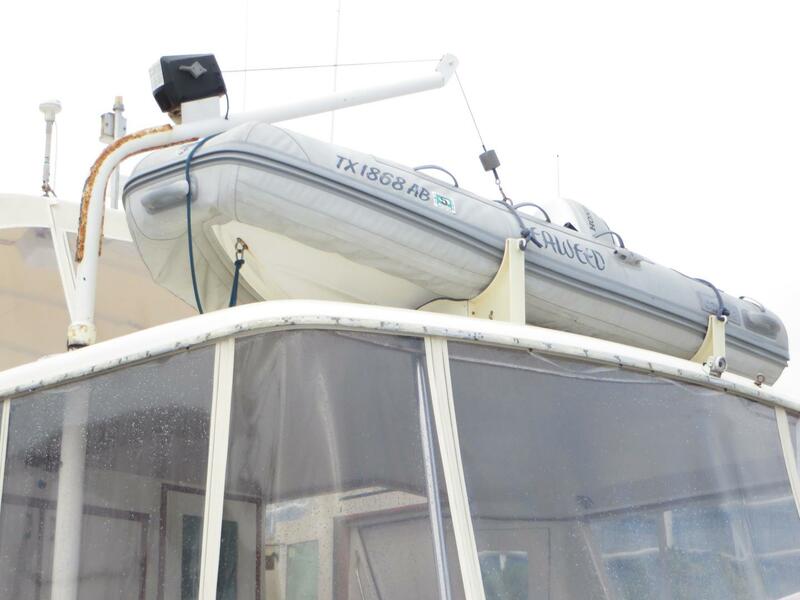 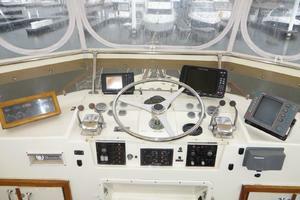 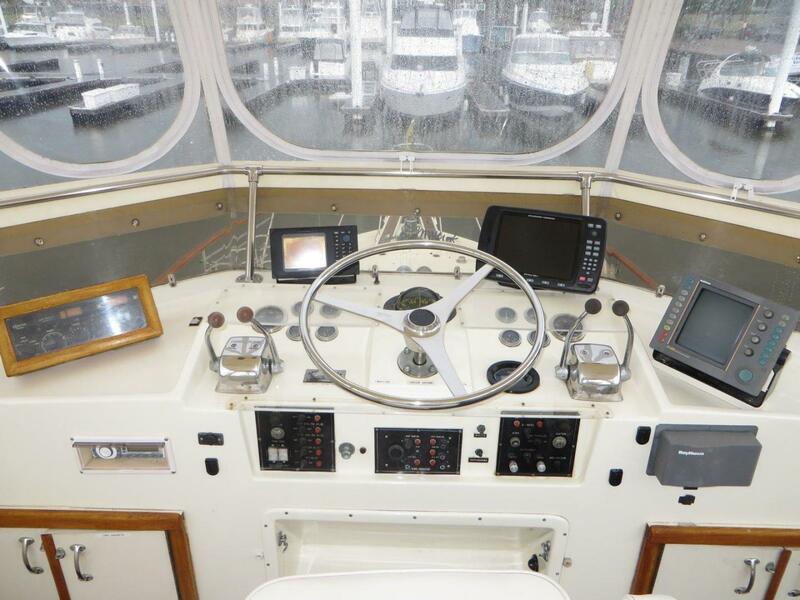 The navigation equipment, engine controls and monitoring are very well laid out for ease of operation. 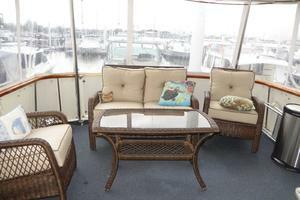 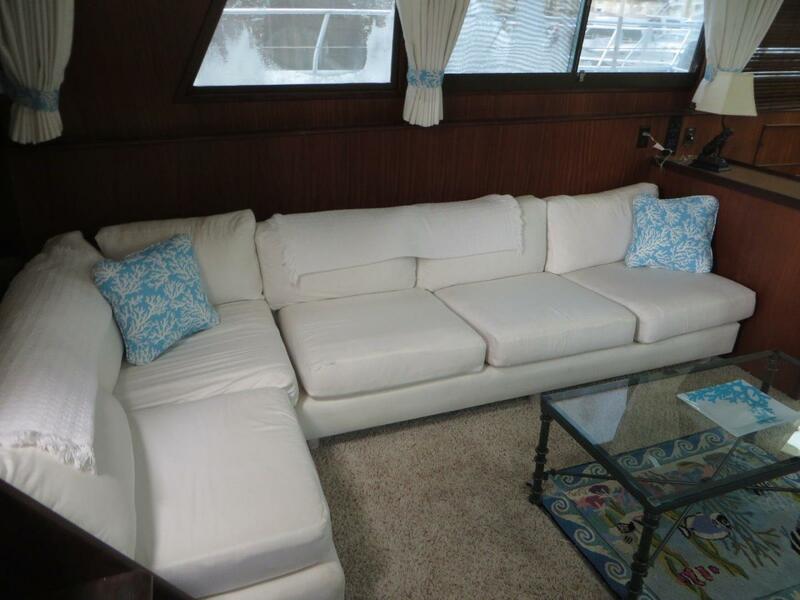 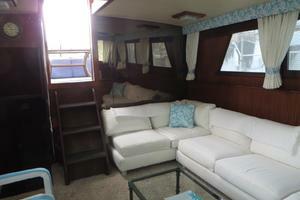 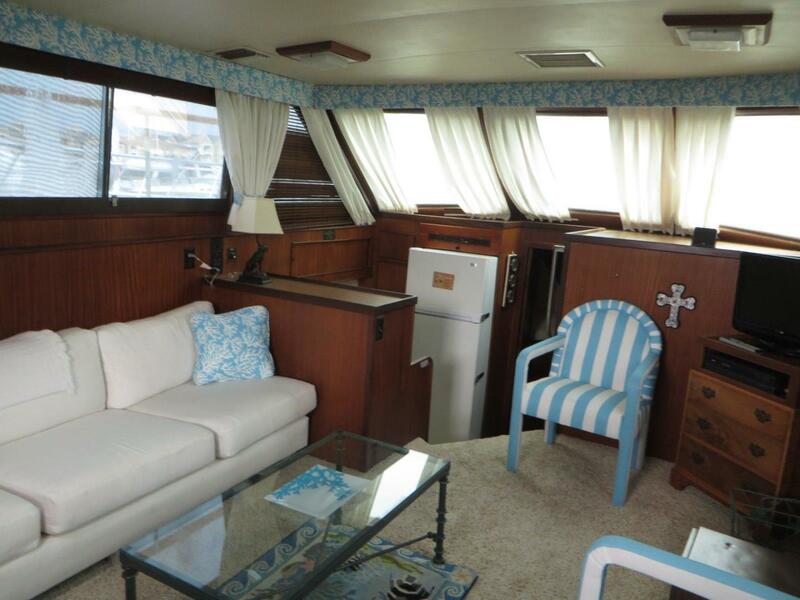 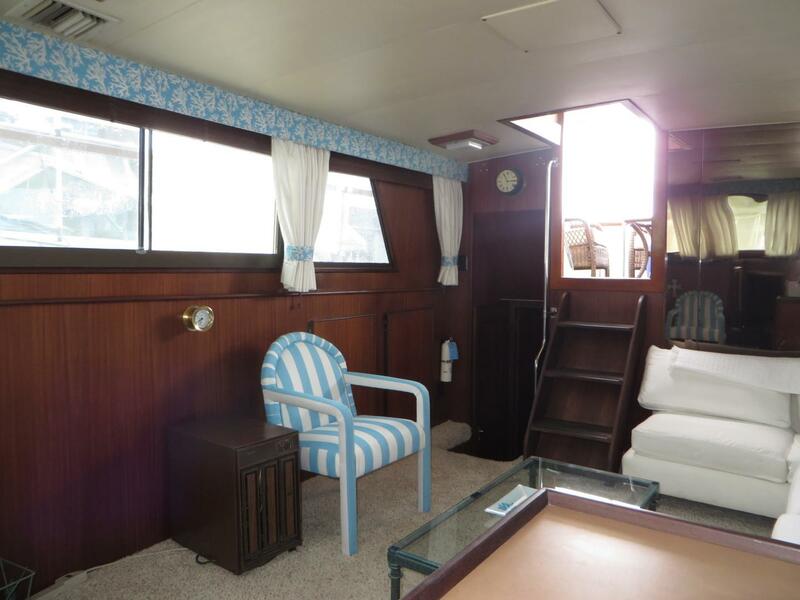 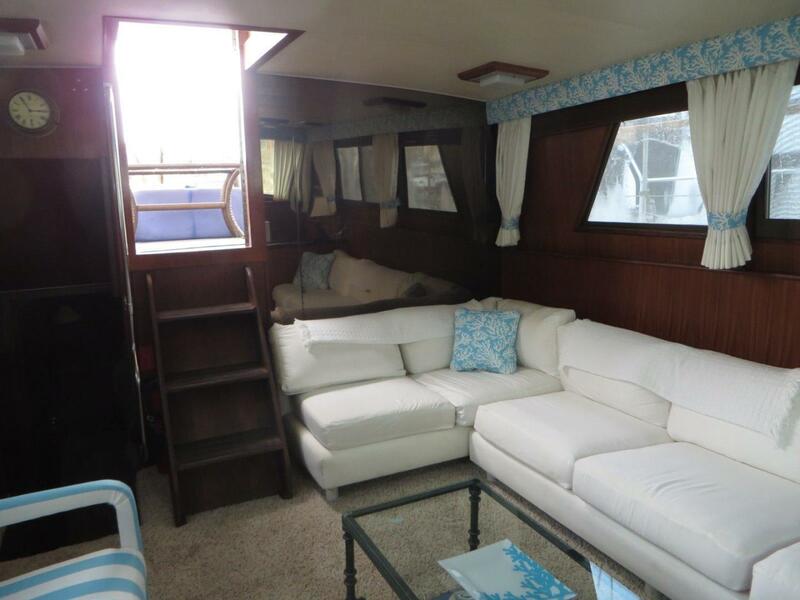 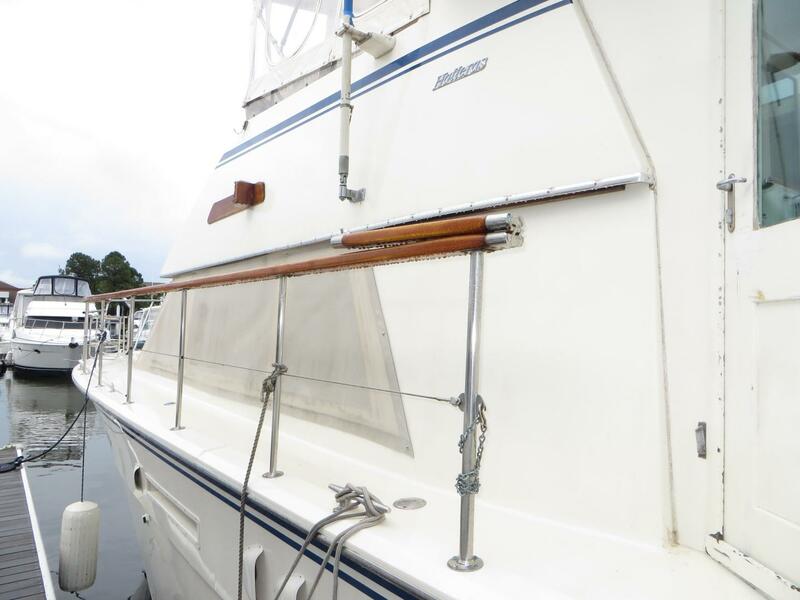 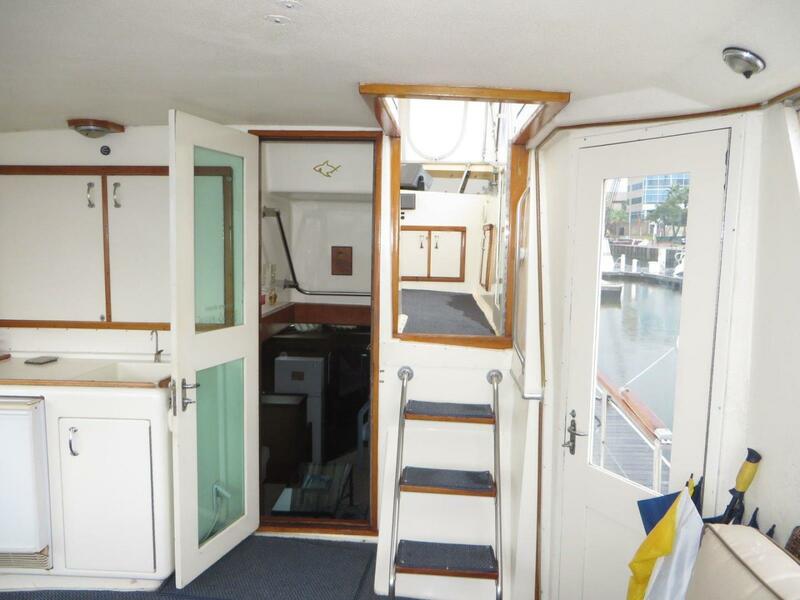 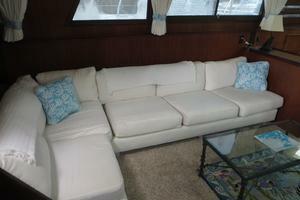 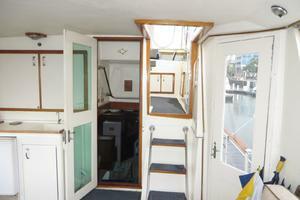 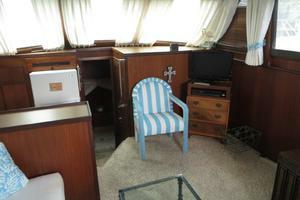 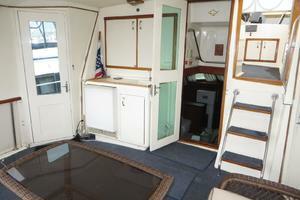 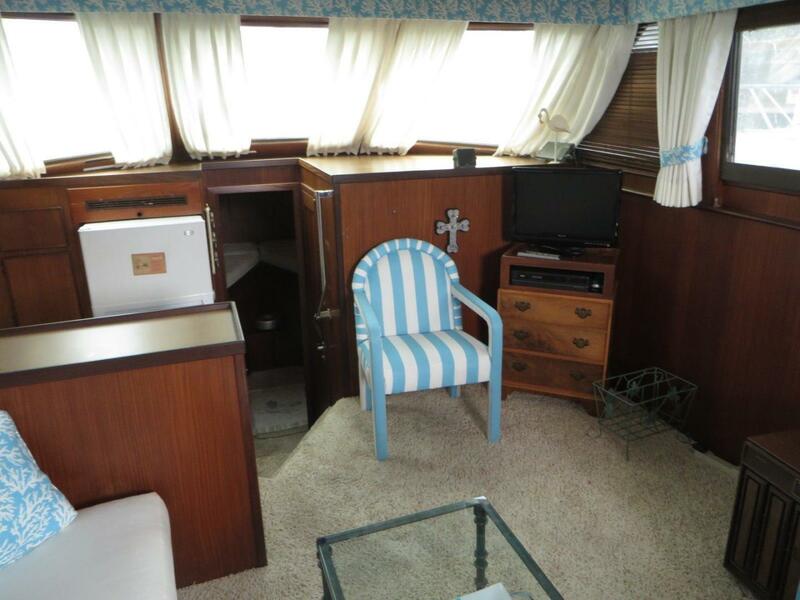 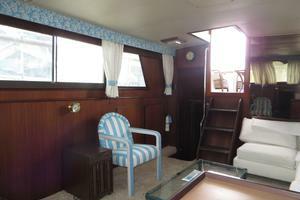 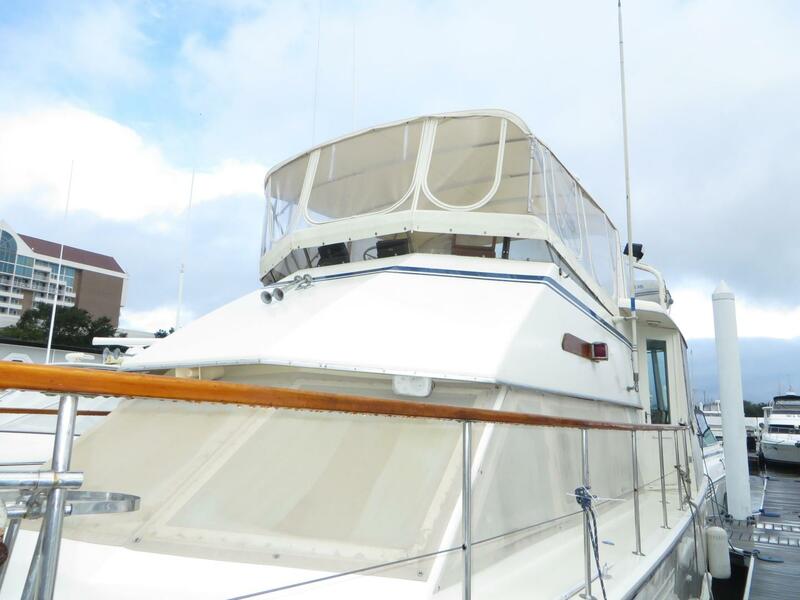 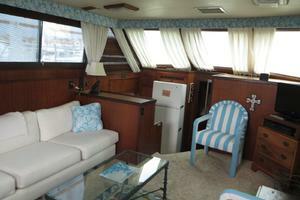 The spacious aft deck is very accommodating for entertaining and relaxing. 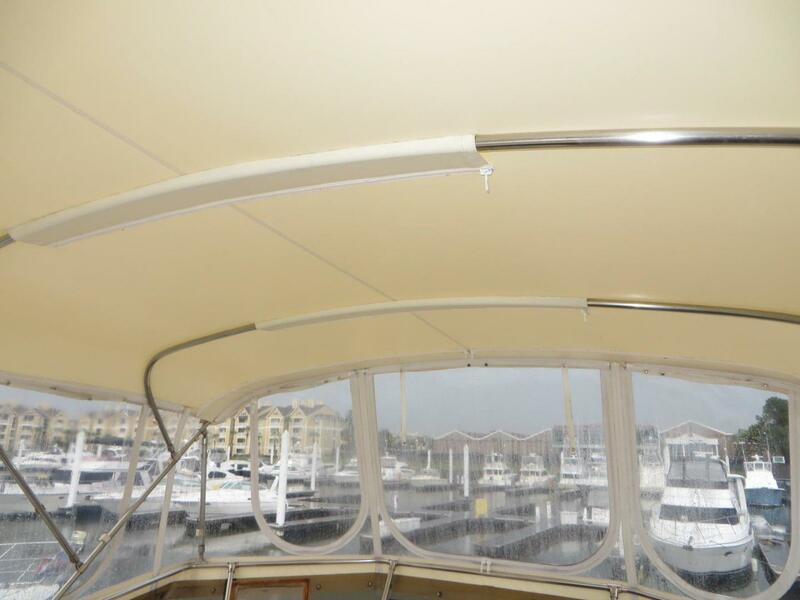 A custom hardtop includes dome lighting w/rheostat, wing doors to the side decks, entry door to the salon and stairs to the bridge. 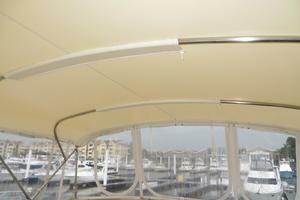 A full Stratoglass enclosure allows this area to be utilized year round. 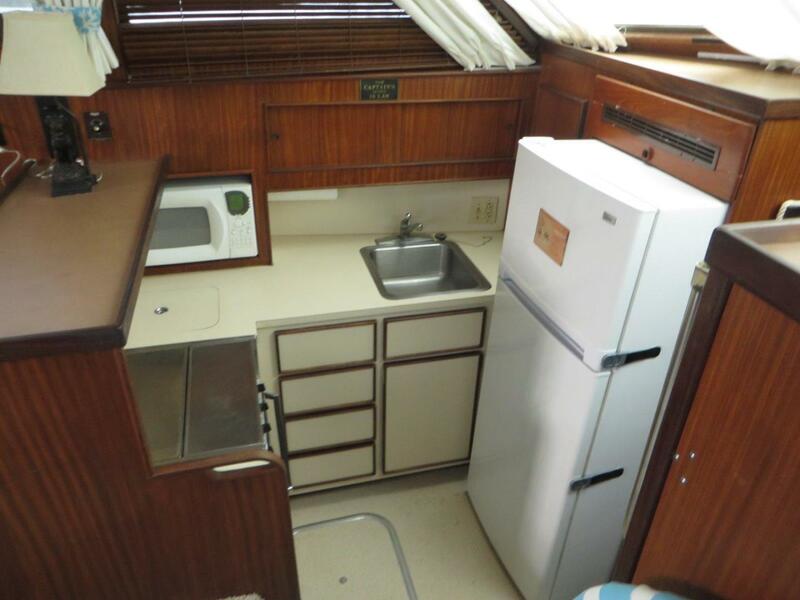 A wet bar with sink, storage, mini fridge and stereo speakers along with comfortable outdoor furniture complete this great space for entertaining friends and family.